Today, I heard about Suspended Coffee for the first time. If you’re wondering what this is, it’s a way to pay it forward by donating money for a second coffee when you buy one for yourself from a participating cafe. 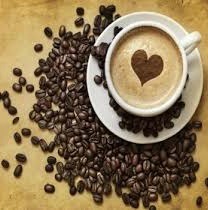 Then, if someone who cannot afford to pay for a coffee comes along and asks if there is any suspended coffee available, your generous contribution allows them to enjoy a hot beverage. It began a decade ago in Naples, Italy and is a popular movement in Europe and Australia. It has now made its way to North America as well. It’s not in my area, from what I can tell, but everything is always slower going in the Maritimes. When I asked Duncan what he thought about this, he just made a joke of it and said that he would find it questionable if he saw a homeless person walking down the street with a Starbucks venti mocha or whatever…Haha, funny Dunc. Nevertheless, I think it’s great. 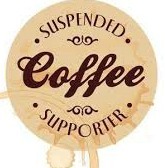 Check out their Facebook page to find out about Suspended Coffee in your area. What are your thoughts about this? Would you participate?